This Saturday Kick Off the start of Summer at Farmapalooza at the Franklin TN Farmers Market! Bring the entire family and plan to have a fun filled day. There will be opportunities for the kids to learn how to milk a cow, have their faces painted and win prizes. There will be plants and seeds for them to take home. The Franklin Square Pickers and Tom Grant will provide music all day as you wander through the many booths of crafts, organic foods, homemade pastries, jams, soaps, and numerous other things. Chef Cyndi will be on had doing demonstrations on Organic cooking. There will be fresh organic vegetables, meats, milk and eggs from local farmers. If you haven't signed up for one of the local CSA programs it's probably not too late yet. This year I signed up for a half share. What that means is I pick up a box of vegetables every other week instead of every Saturday, as the full shares do. This is what I got this week: Red Kale, Collard Greens, Broccoli, Green Onions, Strawberries and Lettuce. There is no better way to make sure you eat enough fruits and vegetables! 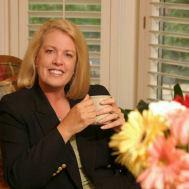 Connie Harvey is a full time Realtor with Prudential Woodmont Realty Group in Brentwood TN. She is experienced with Buyers and Sellers specializing in Nashville TN, Brentwood TN and Franklin TN Real Estate. 415 Church Street - Downtown Nashville TN Condo Living! 5881 Woodlands Avenue, Nashville TN Real Estate at it's Best! $8000 First Time Home Buyer’s Tax Credit 5 Important Questions! Lowes and Granbery Elementary School Build a Garden!